Want to feel like you've gone to the theater every time you watch a show or movie in your living area or den? Badcock has the home theater electronics you'll love to upgrade your home theater. 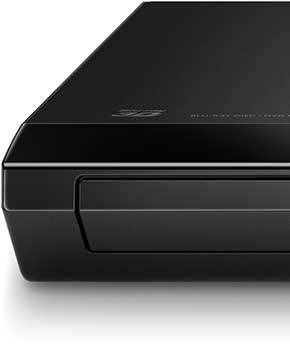 Many homeowners and apartment renters are using older DVD or Blu-Ray players. What they might not realize is that the technology has leaped forward in the past few years. If you're in the same boat, do yourself a favor and upgrade to a newer model. You'll be amazed at how much simpler it is to find and enjoy what you want to watch! 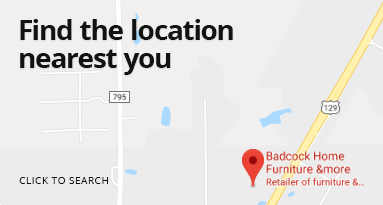 Build the home theater of your dreams without having to break the bank with the help of Badcock Home Furniture &more. Our selection of home theater essentials will make your viewing experience complete. Don’t forget to ask about our easy financing options for your home theater today! This portable, rechargeable Bluetooth speaker with 2" tweeter and 4" main speaker has Dynamic Sound Effects to help create great sound in a small speaker that is easy to carry and transport for music at the house, or music on the go. Also has FM radio and hands free microphone. This 2.1 channel sound bar is an enhanced stereo sound experience with surround sound capabilities for a true home theater experience. Left and right speakers on this surround bar deliver a balanced volume and control.